Ning Ning held senior management positions at numerous California technology companies and contributed to the sale of four of those firms to Taboola, Salesforce.com, MEI, and Ask.com. Prior to the merger with Taboola in 2014, Ning Ning ran Product/R&D/Operation at Perfect Market,Inc. Ning Ning previously served as V.P of Product Development at Accruent, where she was in charge of R&D and Product Management, and delivered the next generation platform. Before Accruent, Ning Ning was Vice President of Engineering for Sendia, where she managed the day-to-day development and service operation of the company’s wireless enterprise application product offerings until the successful sale of Sendia to Salesforce.com in 2006. Before joining Sendia, Ning Ning was Vice President of Engineering at Thinque Systems until its successful acquisition by MEI in 2004. 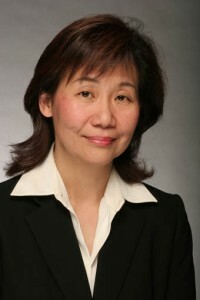 After its acquisition of Net Effect in 2001, Ning Ning served as Vice President of Engineering for AskJeeves Inc. At Net Effect, Ning Ning also served as vice president of engineering, where she led a team of developers that designed and built a complete web-based, live support capability that integrated with web-based CRM packages. Ning Ning held senior management position at Vertel and Retix also, and developed one of the first Wireless Data Switch in the U.S.
Ning Ning lives in Pasadena and holds M.S. in Computer Science from UCLA.